The morning of the tournament started off with calm seas and a beautiful sunrise over the ocean. Everyone was very happy for the change in weather as we had experienced significant amounts of rainfall in the days leading up to the event. The beach was full of activity with fishing teams and many early risers down to check out the excitement. 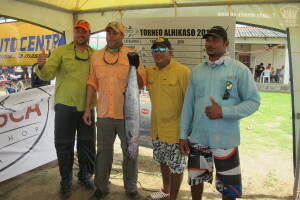 The Friday fishing as it turned out was to be the best day of the tournament as far as weather conditions were concerned. We ended up having to change our plan as we were approaching a large black cloud with a lot of lightning activity. We finished the day with Tuna, Dorado, Sailfish and an estimated 400 lb Blue Marlin that snapped the line and greyhounded past our boat to let us get a good look at “the one that got away”. However, none of the fish we caught that day were going to help me ride away on a new quad (1st place Tuna) or a new 40 HP Yamaha motor (1st place Wahoo). 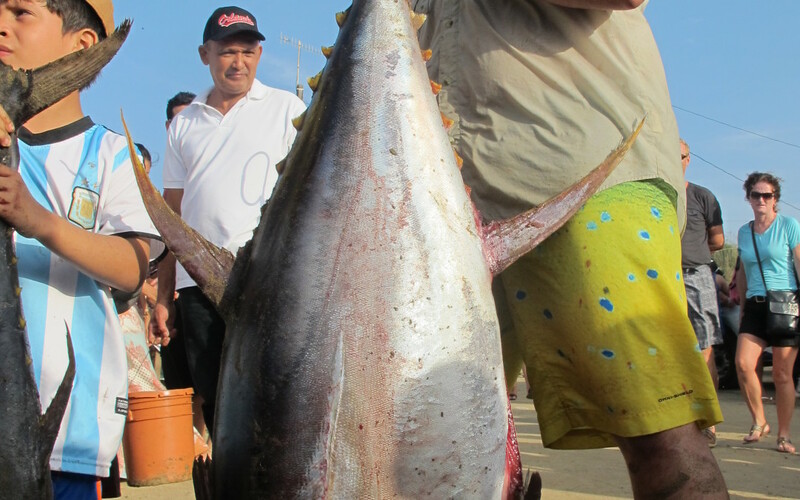 Back at the scale we could see that several large Tuna in the 140 lb range and some nice Sierra and Bojala had been brought ashore. 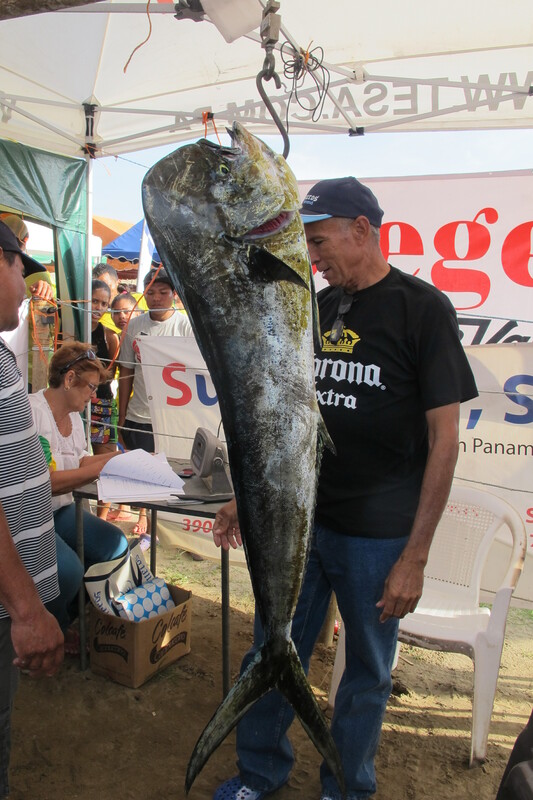 The big Dorado and Wahoo however were still being elusive. As dawn hit the beach on day 2, another beautiful sunrise and the teams were off again. Saturday’s weather, however, was going to take a dramatic turn. Around 10:30am and roughly 30kms offshore we were starting to encounter some 20-25 knot wind which was producing 4-5 foot seas. 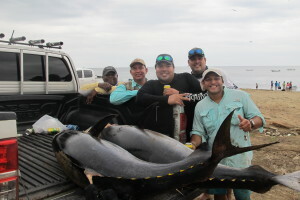 We were hooking up some pretty nice sailfish and Dorado but again nothing that was going to help us out at the scales. 9 ½ hours later we were back on dry land. 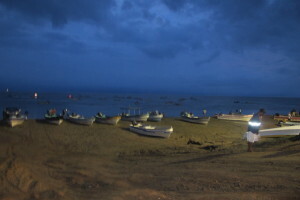 One of our crew members commented that it was the first time he had ever been cold in Panama. It was definitely a long, wet and rough ride. Other teams seemed to have good luck as a few more large Tuna came in and Dorado in the 30-35 lbs range. Speaking with several other captains it was apparent that everyone was happy to be back on land as it was a tough day fishing for all. Sunrise on Sunday morning was to some high winds and angry seas. Some of the biggest waves I have seen in recent months greeted the fisherman at Arenal beach Sunday morning. 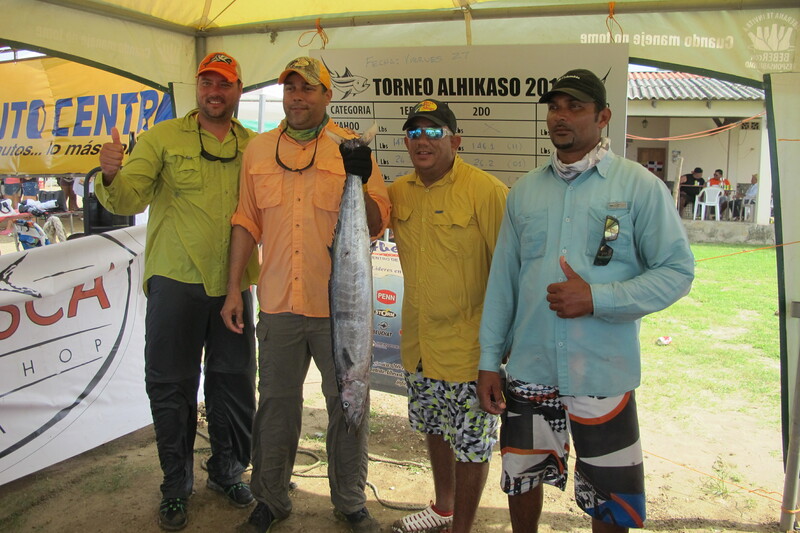 This was going to be the end of the tournament for most as even getting a Panga off the beach was a difficult and somewhat dangerous process. 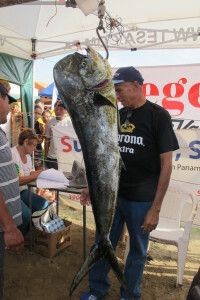 A few teams decided to go for it and that day produced what many thought was the highlight fish of the tournament when Pimply turned up with an 85lb Wahoo, a truly impressive fish and deserving of a first place finish in any tournament. Also, Sunday was the kid’s day and they appeared to be having loads of fun down on the beach even if the shore fishing was not ideal conditions for them. It was really nice to see all the donated prizes and shiny new bikes for the kids. Congratulations to the winners and everyone else who participated and helped out to make it a really fun three days. We made some new friends, drank too many beers and had a great time. See you all next year and happy fishing!